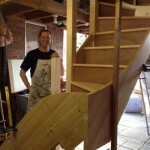 John talks about the craft of making staircases. How long have you been making your own staircases? 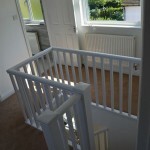 “When I did my first loft conversion about 15 years ago, I knew that I wanted the stairs to be top quality. Due to the changing nature of the workplace and more people working freelance or choosing to work from home, an increasing number of our customers are using their loft conversion to provide them with a bespoke office space. 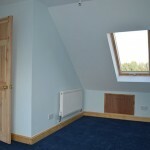 An office in the loft works really well as you can usually guarantee a quieter environment. I’ve decided to do a series of blog posts on the variety of different ways our customers use their loft conversions to share some of the imagination and inspiration that we’ve come across. 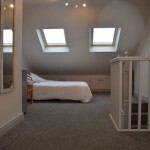 In this post we will look at lounge loft conversions. All new builds have to take into account current building legislation, and loft conversions are no different. The good news is that once you are working with Clarendon Carpentry, we will take responsibility for ensuring that your conversion is fully compliant, so you don’t need to worry. Not sure why you should talk to Clarendon Carpentry about your Loft Conversion? 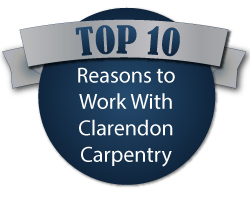 Here are our top 10 reasons why we think you’ll love working with us.